While we’re still waiting for the Nvidia GeForce GTX 1180 to be announced, the GTX 1160 may be powering the best gaming laptops by the end of the year. Adding on to the heap of Nvidia Turing rumors we’ve seen over the last few months, we might be seeing the next generation of laptops graphics coming to the Lenovo Legion Y530 in Q4 2018, according to a leak reported by Wccftech. This would be the second time that Lenovo has supposedly leaked the release window for a next-generation Nvidia GPU – a Lenovo product manager mentioned that one of its desktops would pack “up to an 1180” at E3 2018. And, you can just look at recent trends in the GPU market to realize that laptop GPUs typically follow the release of their desktop counterparts – so this just adds credence to the GTX 1180 launching in the next few months. While it will supposedly feature the same 6GB of VRAM that the GTX 1060 did, we have reason to believe it will be using GDDR6 memory, which will lead to higher bandwidth and memory performance. Nvidia may also pull what they did with the 1060, and offer a 12GB version later on down the line, offering higher-spec performance. We don’t know what it's going to be clocked at, but everything we’ve seen about Nvidia Turing up to this point suggests that the 1160 might end up out-powering the 1070. 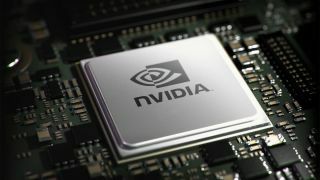 All we know is that the rumors for Nvidia Turing are reaching a fevered pitch, and we probably won’t have to wait much longer, if rumors about Nvidia sending out Gamescom invitations are correct. Even if they’re not, we doubt we’ll be waiting too much longer to see what the next Nvidia graphics cards, both for laptops and desktops, will look like.